On Friday, after returning from our Disney cruise to Alaska, my boys and I were exhausted from traveling, unpacking and doing laundry. We decided it was time to take a break, so we headed off to the movies to see Disney’s newest feature Planes: Fire & Rescue. To be honest, I was less than thrilled to be seeing this movie. I was not a fan of the first Planes movie and couldn’t imagine that this one would be any better. However, I was pleasantly surprised! WARNING – SPOILERS FOLLOWING THE PHOTO!! In this sequel, we continue to follow the story of Dusty Crophopper, the former crop duster. He is now a famous champion training for his next important race, when he discovers his gearbox is damaged and out of production. When he realizes his racing days may be over, he accidentally starts a fire that starts a chain of events that has him training to become a firefighter. Planes: Fire & Rescue is so much better than the original in every way. The characters are more likable, the storyline is well-developed, there is more action and the scenery is spectacular. I would definitely recommend seeing this movie and my boys (ages 11 and 8) loved it! I’ve included the extended trailer below and for more details, reviews and ratings, please check out this link. 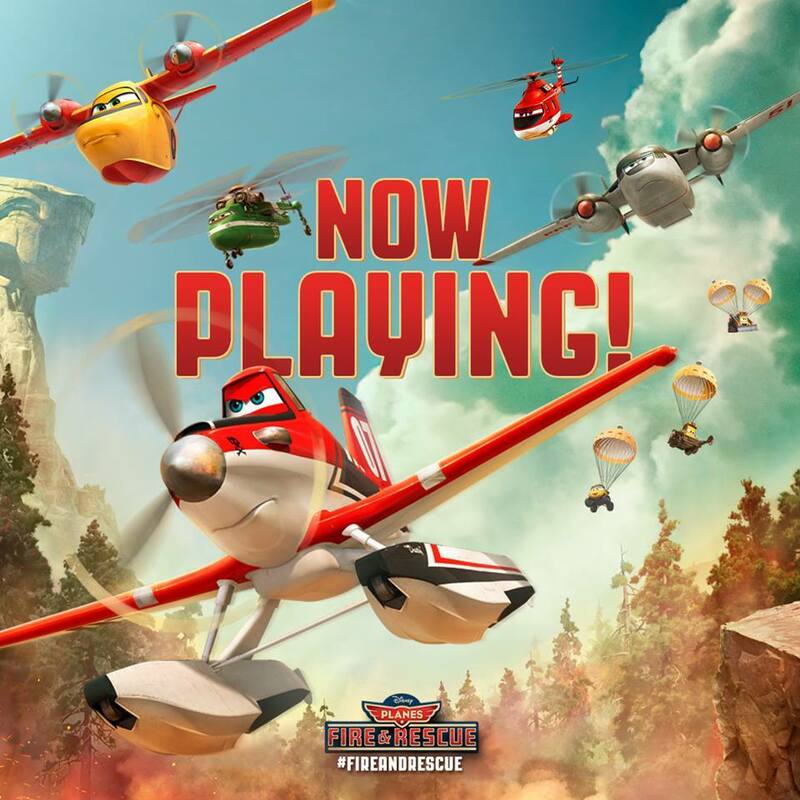 Have you seen Planes: Fire & Rescue? Did you enjoy it? Please leave a comment!